When we tell you we follow an evidence-based approach to dog training, this is what we mean: we want to enable you to make rational, effective decisions when it comes to caring for your pet. Like any other profession, dog training gets its information from many sources: some totally unreliable and some beyond-a-doubt-true. 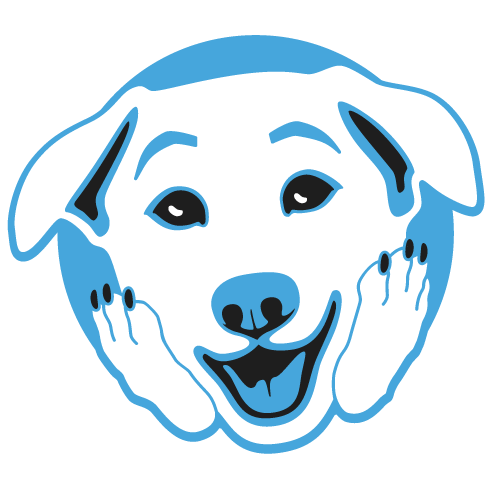 At OhMyDog!, we run fact-checks so you don’t have to. We make sure all the advice we give is based on solid grounds and not from authority, hearsay. or habit. Our researcher friends might be surprised to see demonstrated personal experience rate so high, but this reflects an item we internally call ‘works well in clinical practice’. The team counts behaviour therapists and applied behaviourists in their midst, myself included. We bring the protocols that we’ve tried and with which we’ve had good results in the field back to the school’s troubleshooting guide, so we can train our behaviour coaches to try creative solutions we have seen work in real-life. We endeavour not to go outside of the green zone for you, and if we do, we let you know. This makes sure you use the most modern, demonstrably effective techniques to raise a happy, well-behaved dog. 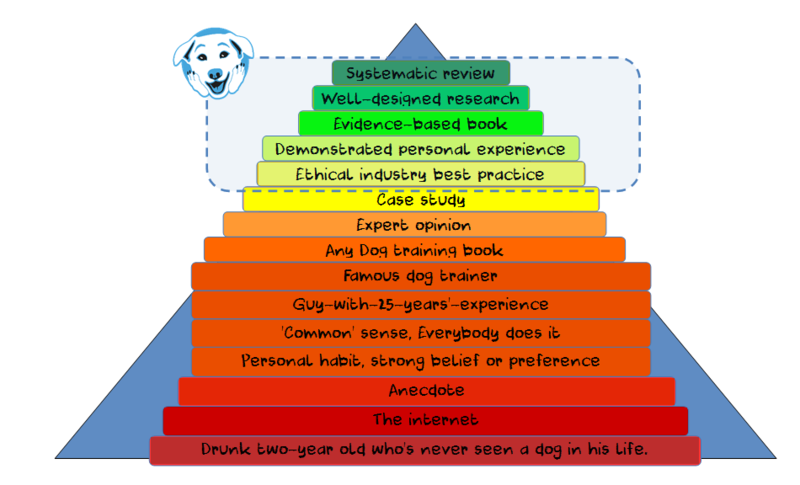 We’ve just put together a standard training package for all our staff, and all are being trained in this central concept: evidence-based dog training. What is not evidence-based? Things that do not pass scientific scrutiny. Things that have been demonstratably false or unsafe. Things that do not enjoy much in the way of a scientific consensus. Things that a modicum of critical thinking would debunk. In other words, things that rely on fear-mongering, feel-goodery, clever marketing and belief, rather than facts and logic. To read more about the evidence-based concept, read this post on Canis bonus.